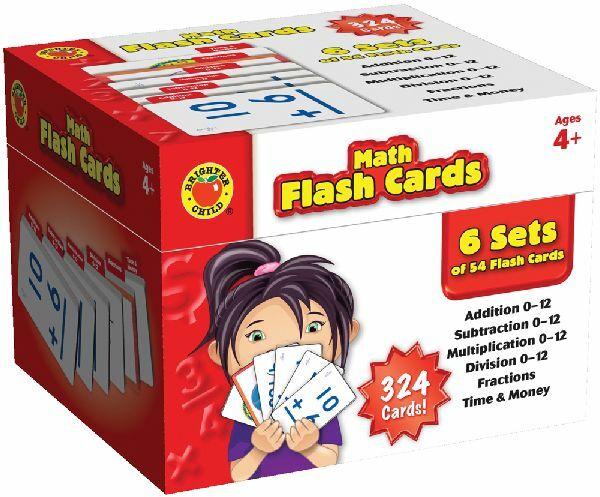 Annotation: Brighter Child(R) Math Flash Cards provide children with a full-range of math practice. This sturdy storage box contains six decks organized by tabs for quick and easy access. The decks include addition, subtraction, multiplication, division, fractions, and time and money. The cards also feature answers on the back so children can check their answers.